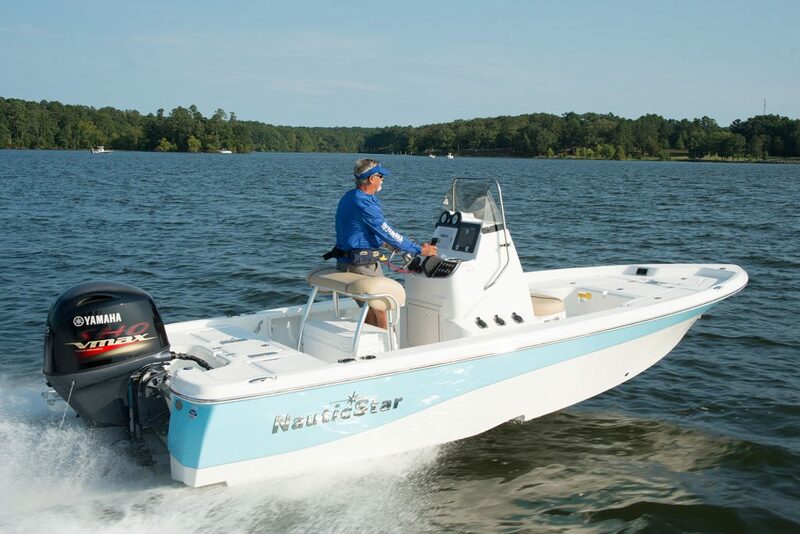 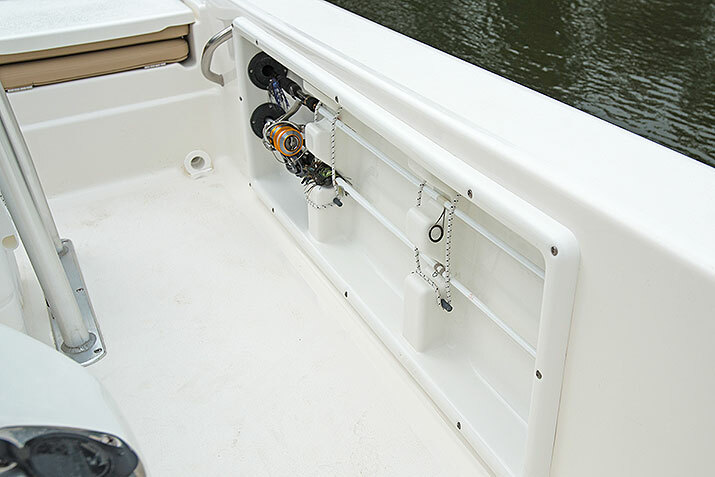 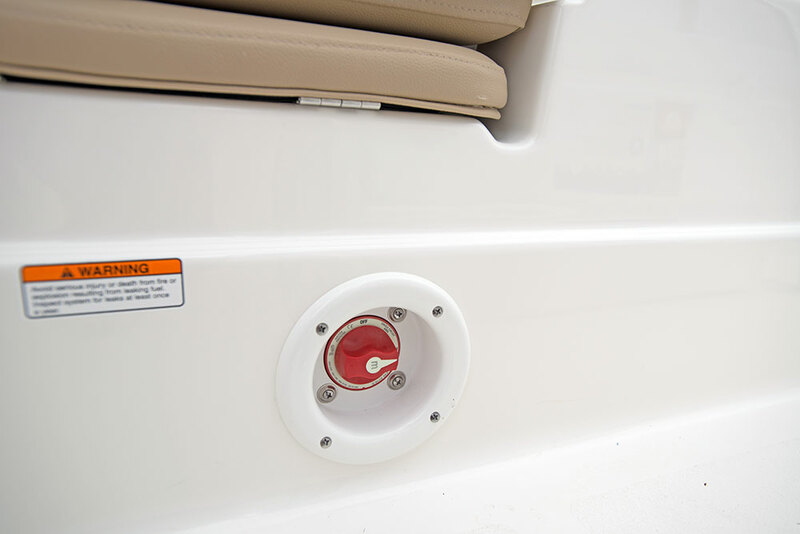 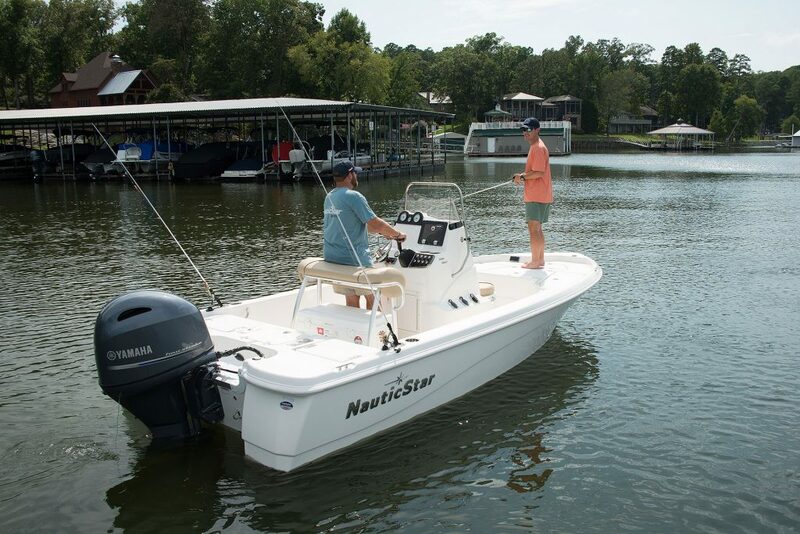 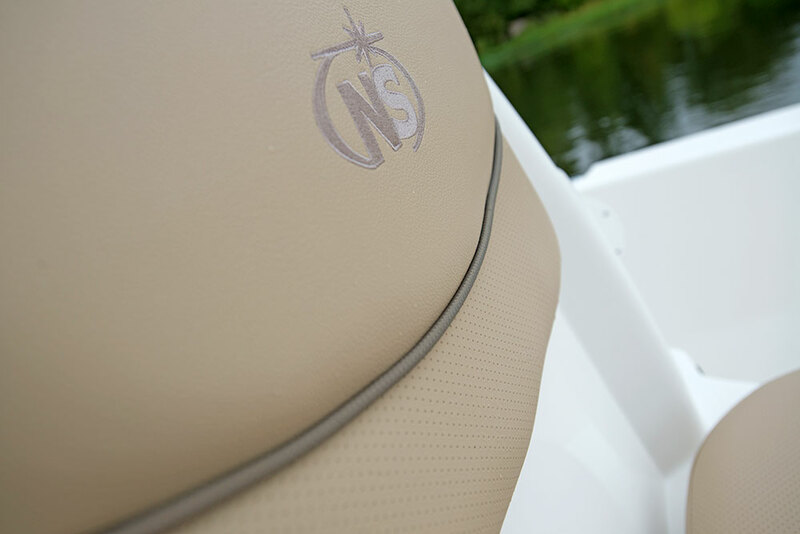 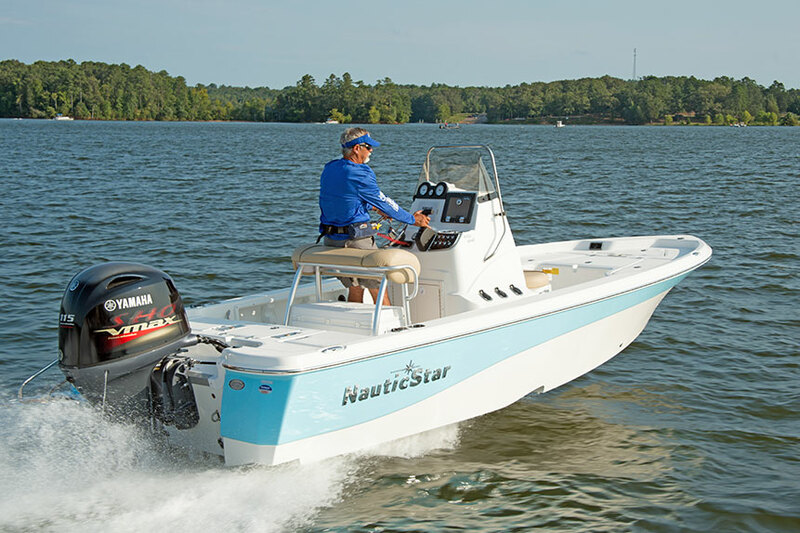 The optional XTS package includes horizontal recessed gunnel rod storage (2/side), recirc livewells, high speed pickups, SS pull-up cleats, SS rub rail, and hull color. 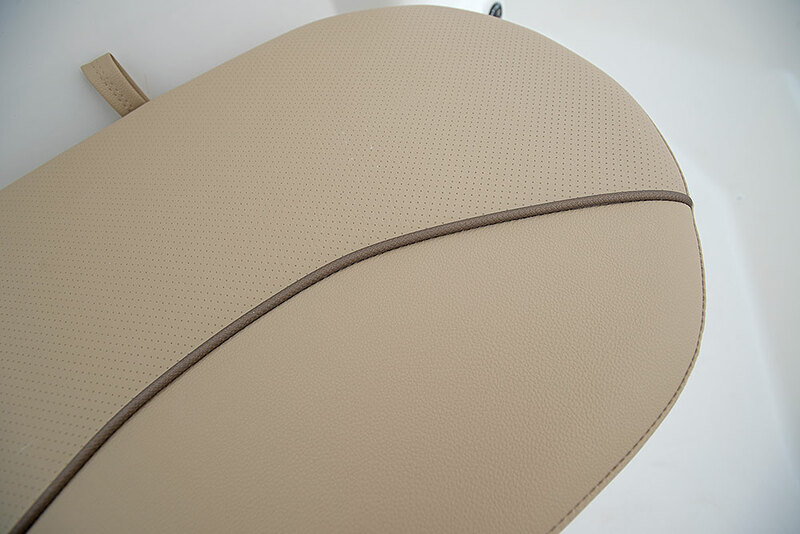 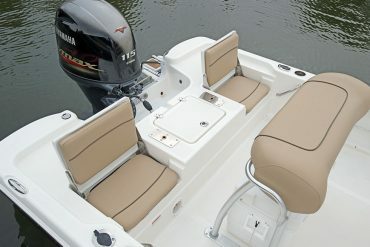 Aft there are 2 jump seats that flip-up for passenger comfort while headed to the catch. 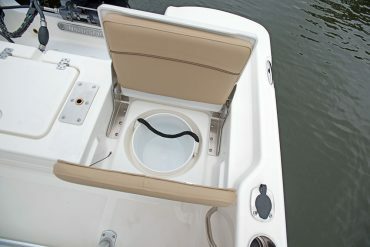 They fold down to form a fishing deck. 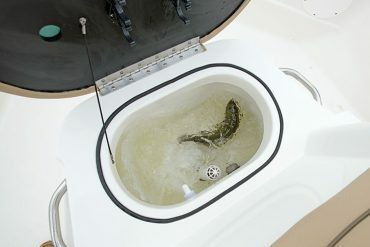 Between them there is a 27 gallon livewell. 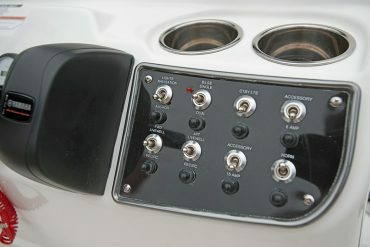 The switch panel uses stainless steel toggle switches with circuit breaker protection on a black acrylic backplate that matches the gauge panel. 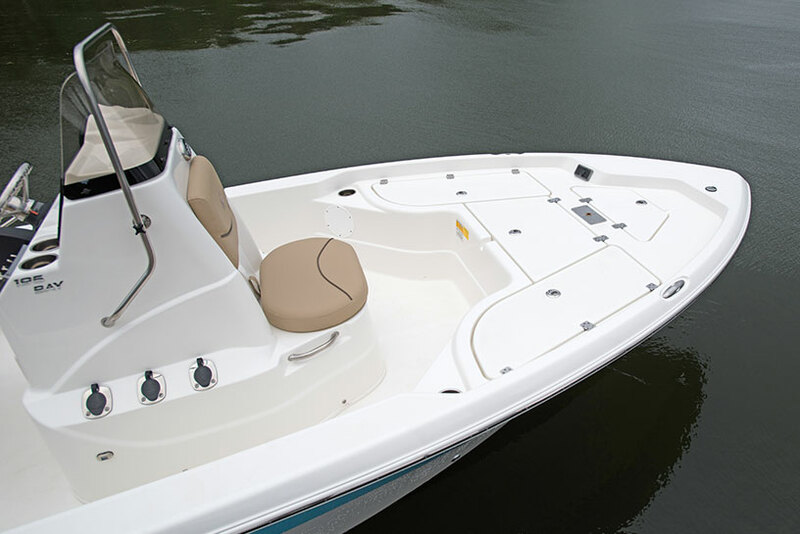 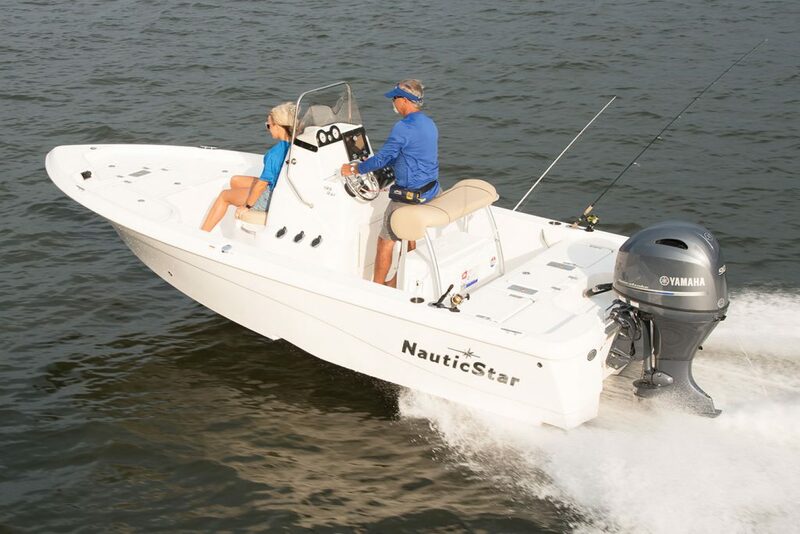 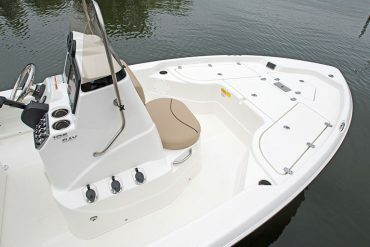 With jump seats in the flipped-down position, the 195 has a 2nd fishing platform aft. 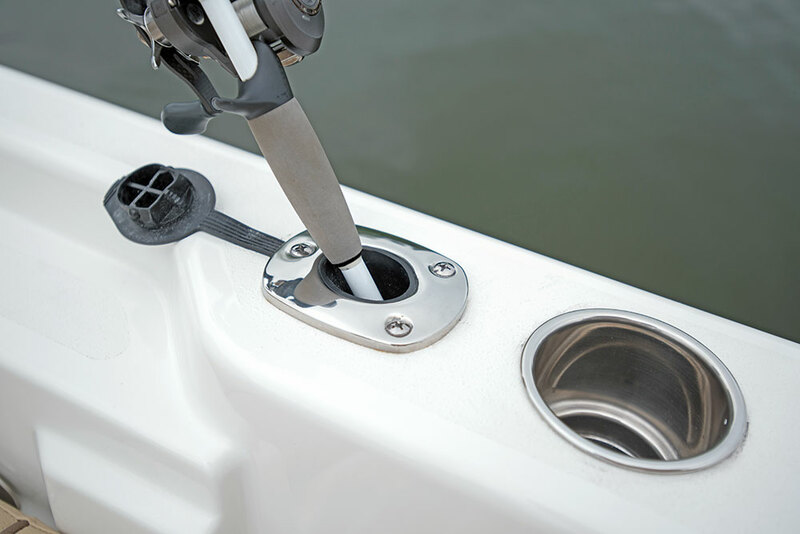 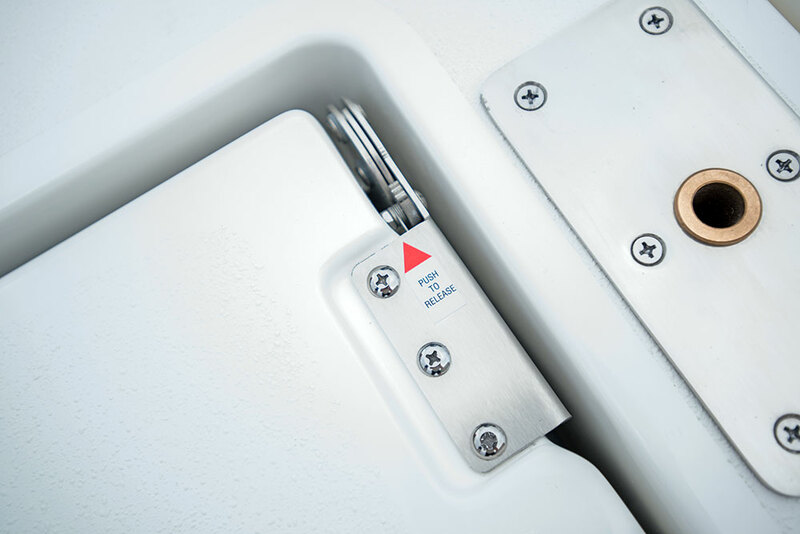 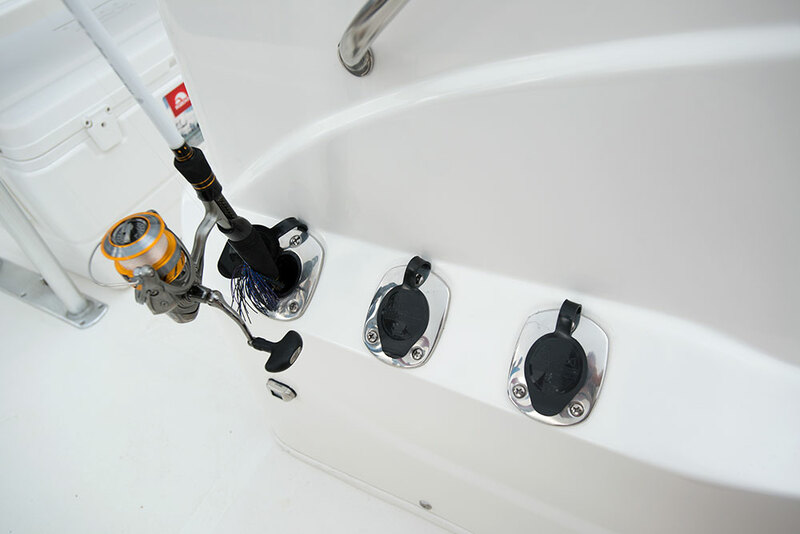 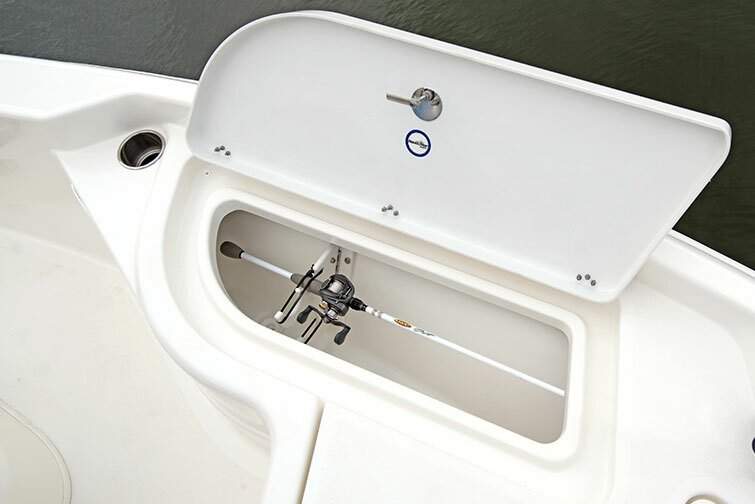 With the optional XTS package, you get port and starboard, recessed horizontal gunnel rod storage (2 rods/side). 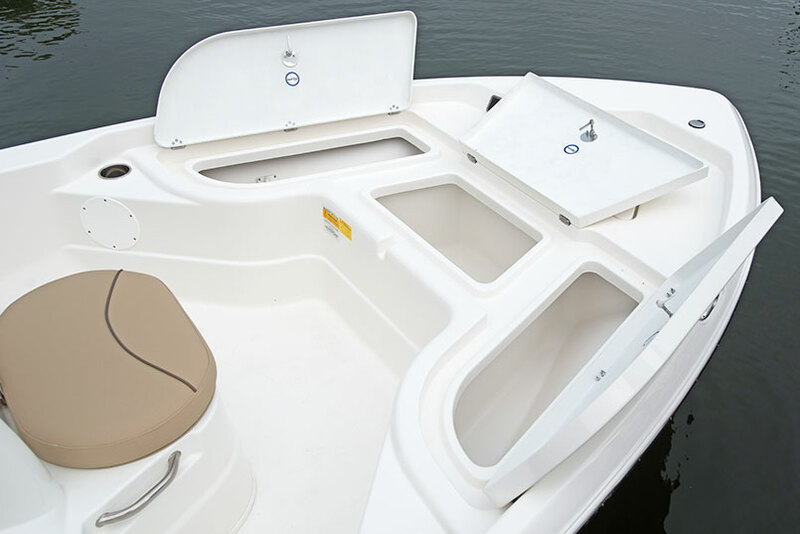 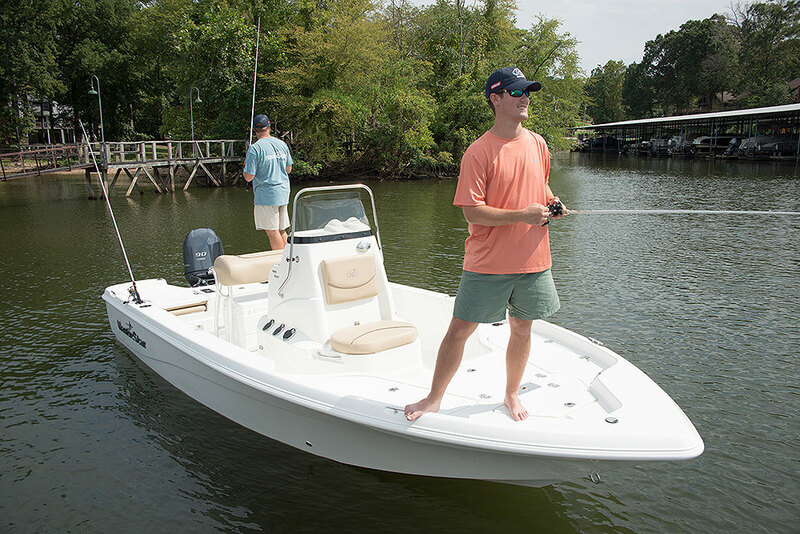 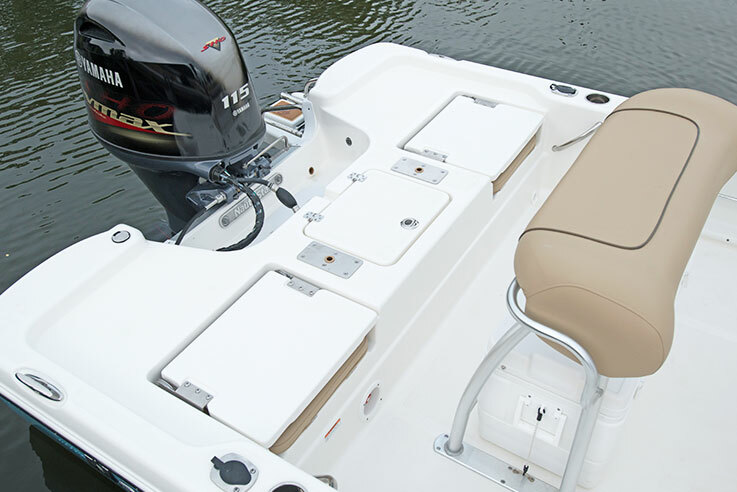 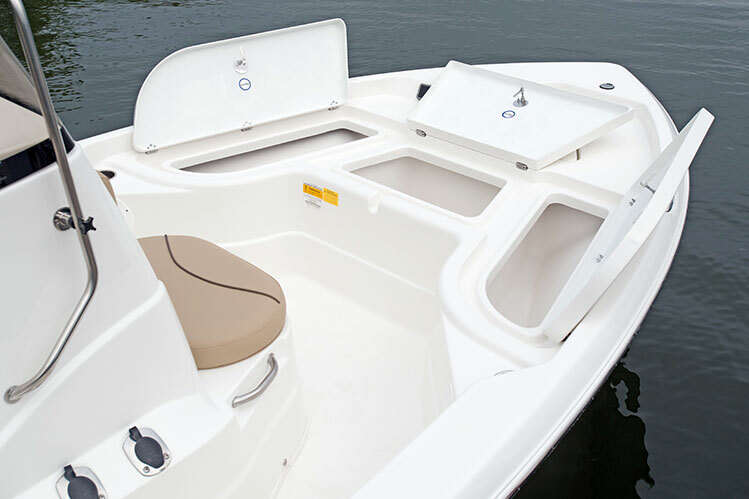 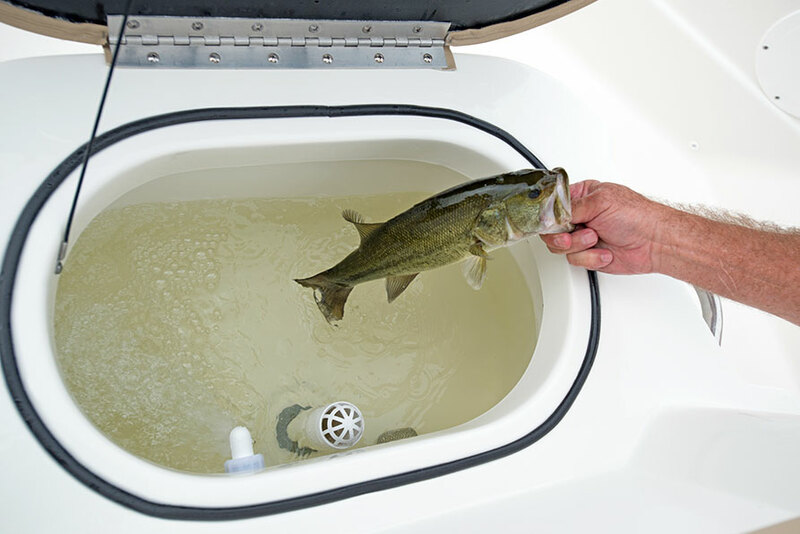 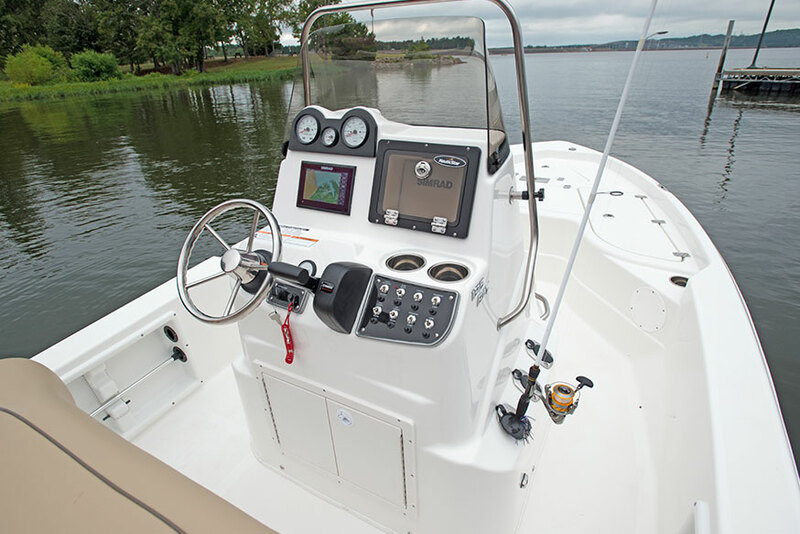 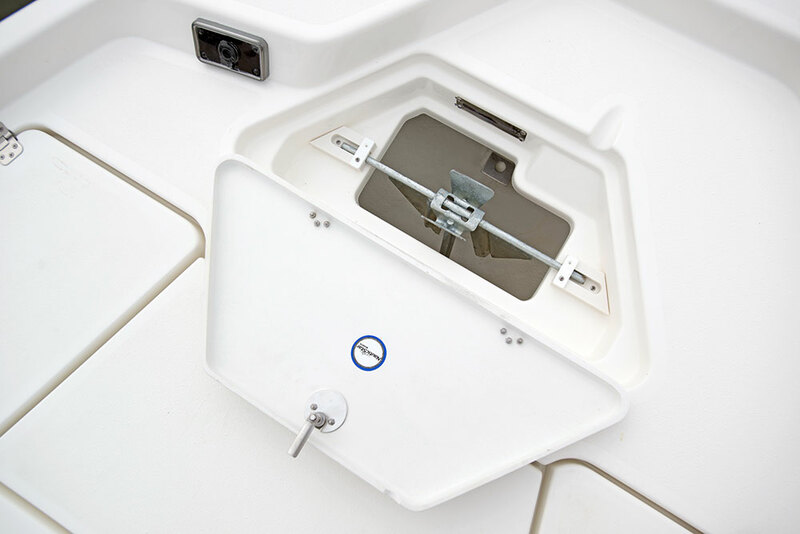 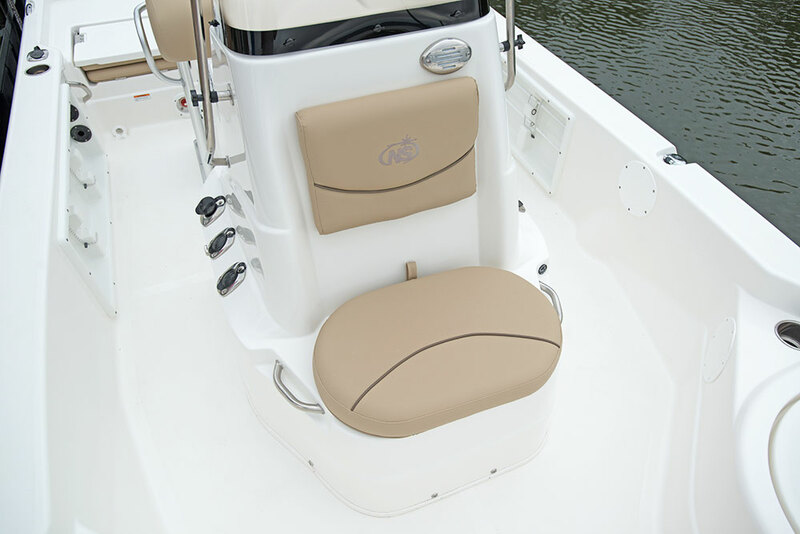 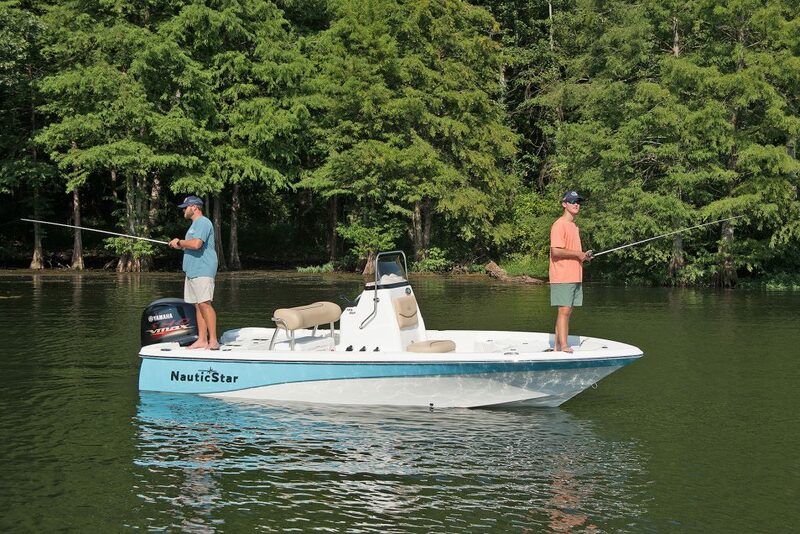 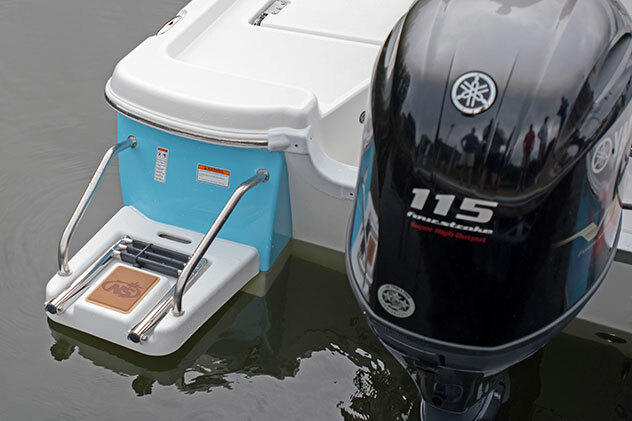 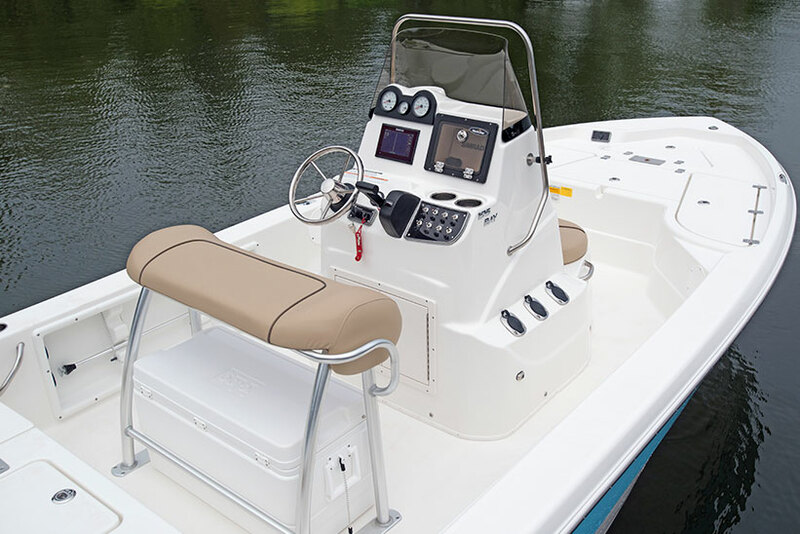 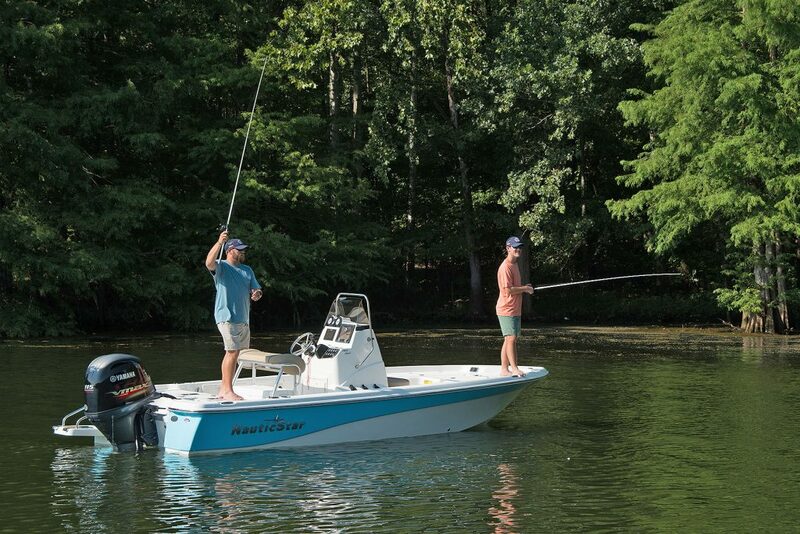 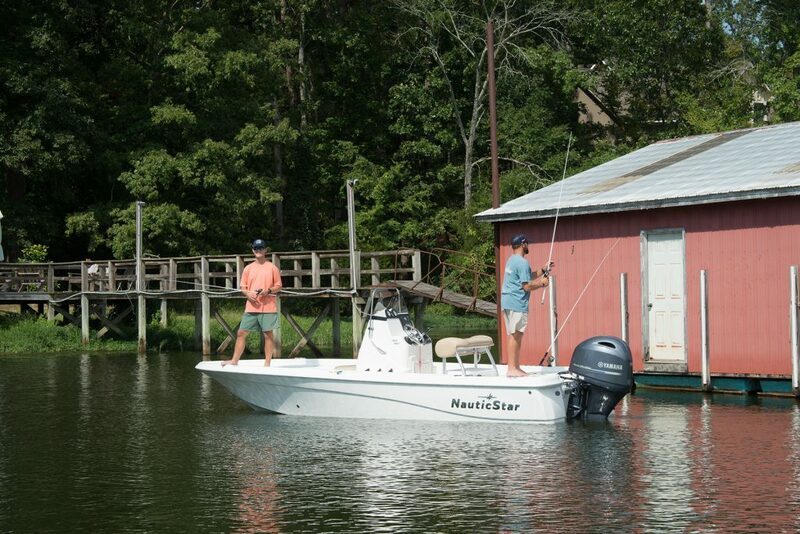 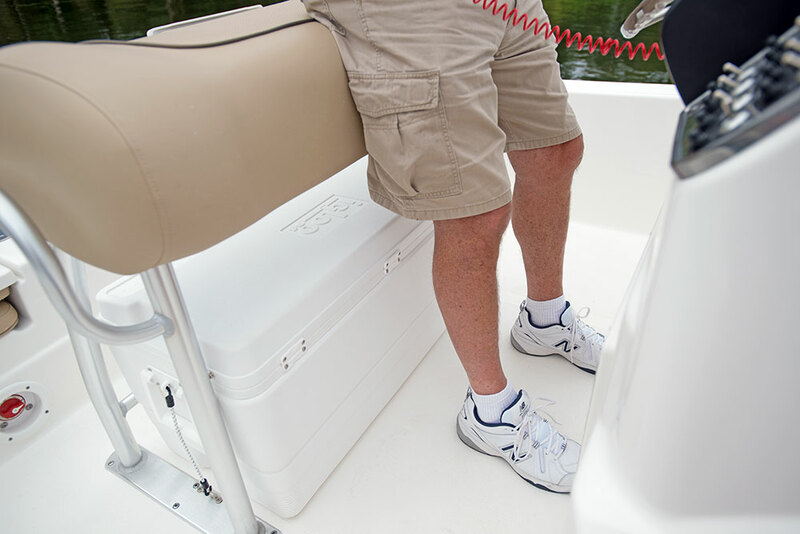 The forward facing console seat opens to a 13-gallon livewell/baitwell. 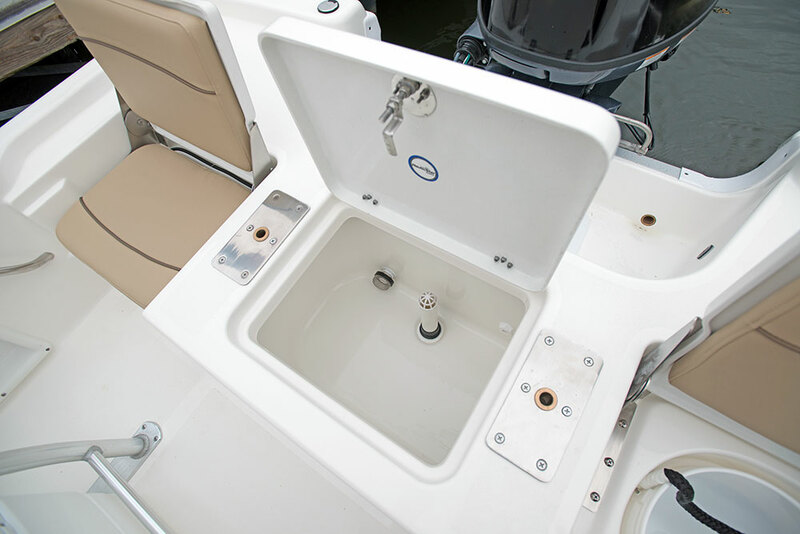 The aft port side jump seat opens to cast net/bucket storage.